Contact Us regarding your lawn today! Why get an underground sprinkler system? 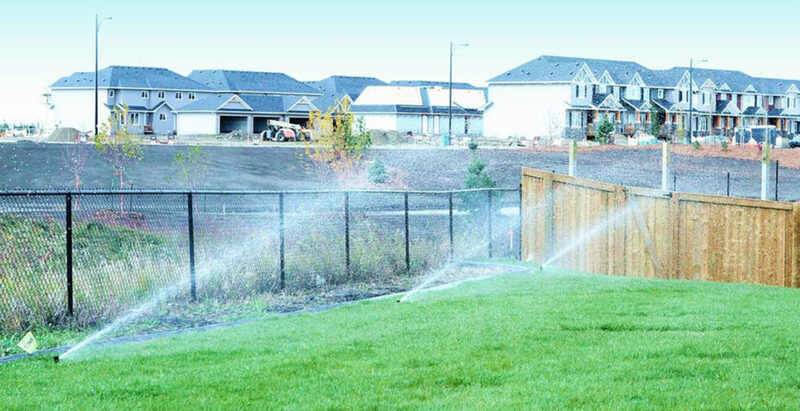 If you install irrigation systems in Edmonton, it will help you save time from manual watering, help save you money by aiding in water conservation, adding value to your home, while helping to achieve an aesthetically pleasing and luscious lawn. We offer a wide variety of irrigation systems, supplies and services. Get in touch with our irrigation specialists for any of your irrigation sprinkler inquiries. Learn more about who we are at Irrigation Imperium! Need an estimate? Give us a call at (780) 800-4407 or click here to send us an email.